This is a fairly recognizable poster, it’s been around the internet for some time – the answer to the posed question of who will be indicted next is NO ONE. The fix is in, it’s been in. That’s been made abundantly clear and the question that should accompany these photos is not who will be indicted next but who is the next snitch that will be exposed? By employing AIM’s definition it is well established that both Russell Means and Dave Hill were. A breakdown in the official wall of silence occurred when South Dakota AG Marty Jackley announced that Means had not only “assisted” him in developing a case against John Graham and Thelma Rios pertaining to the abduction murder of Annie Mae Pictou Aquash but also assisted other law enforcement agencies as well. AIM’s word for that has always been “snitch” leaving them in the midst a conundrum of sorts, If they attempt to defend Means or deny his snitch status then they are obliged to do the same for those who have spoken against them, testified in any AIM related case, or provided information. Left with a bare minimum of options, and none of the good from their viewpoint, they have elected to opt for the lesser of the perceived evils and remain silent. No one, NO ONE, that I am aware of anywhere on the net or this blog has attempted such a defense. Ask yourself why? AIM of course would rather exist on a diet of buffalo chips ( which is probably a dietary staple for them anyway) than address anything related to such troubling and high risk topics. Curious isn’t it that an organization that has employed “paranoia”, moles, snitches, and provocateurs as the mea culpa of choice hasn’t anything to say about the venerable “statesmen” Means snitch status? But then the perception may well be if they did people might then say maybe others were as well and begin following the bread crumbs. Curious isn’t it as well that no mention is made on AIM satellite sites like LRI or the RoL as they go on about all the inequities and a sincere desire to address them? With the talk of constructing a “library” to “honor” Means maybe some consideration should be given to making it an adjunct to the Hoover building or that monolith in Utah the NSA calls home. Dave Hill was outed decades ago after bombing Mt. Rushmore and being allowed to walk away without a single indictment hanging over his head. In addition to that immediately following his get out of jail free pass he was arrested on state charges of possessing a handgun the serial number had been filed off and then SD career politician, and drunken vehicular life taker Bill Janklow stepped in and the charges were dropped in the “public interest”. What definition of in the public interest was employed to dust Hill off, give him a cookie, and send him on his way? John Trudell has gone on for years about an “agent provocateur” within the AIM ranks insisting the path to discovery begins at the Custer Court House – but like those fan dancers of Burlesque fame reveals only enough to leave his audience wanting more – the question that should be directed to Trudell since a contingent of the usual media attention seeking AIM leadership were there and Hill was the one to throw the first punch that began the fracus is he implying Hill is the provocateur? Seems logical to me that if you want to provoke a confrontation you would throw a punch. Maybe Trudell would have us look not at Hill, a Dennis Banks invitee to join AIM and become a member of his personal cadre of security bumbling dolts and Keystone Cops, but at Means or one of the other “liberators”. Either way though the field of candidates is finite. Something else that should be looked into is whether or not Hill had a previous history of criminal charges being dropped prior to joining AIM? If so the plot would thicken as they say. Now I don’t know much about child support cases other than people can go to jail for non payment – Hill didn’t, and it would be interesting to see who intervened in his behalf or if he did in fact make good on any payments in arrears and kept them current following that. Of the remaining individuals in the above rogues gallery it’s my opinion shared by others that at least the AIM leadership as a whole probably rolled over at one point or another if we look at their ability to either walk from charges, never be charged, or being able to “plea bargain” their sentence down to a minimum as a convicted “major drug dealer”. Dennis Banks is an interesting case in point. The man his bromance partner Russell Means said had the ability to make people disappear – Annie Mae and Perry Ray Robinson Jr. are prime examples. Banks having been tape recorded instructing Chris Westerman to dispose of Ray’s body makes him at the very least an accessory after the fact to murder. This taped recording should have at a minimum led to an effort by law enforcement to conduct a search and recovery effort for Ray’s remains…..but didn’t, and everyone should be asking why? In addition Banks ability to immediately identify Annie’s body upon discovery from a considerable distance, as in more than a thousand miles away, before anyone else could should raise a few eyebrows and questions, yet no charges have ever been brought against him related to either incident. Consider the fact also that Westerman apparently enjoyed a measure of trickle down immunity from Banks as it would have been impossible to go after him and leave Banks unscathed. Sounds more than a little suspicious doesn’t it? The way of it seems to be if you’re going to commit crimes you should also be an informant to insure a free hand, or at the most a slap on the wrist. 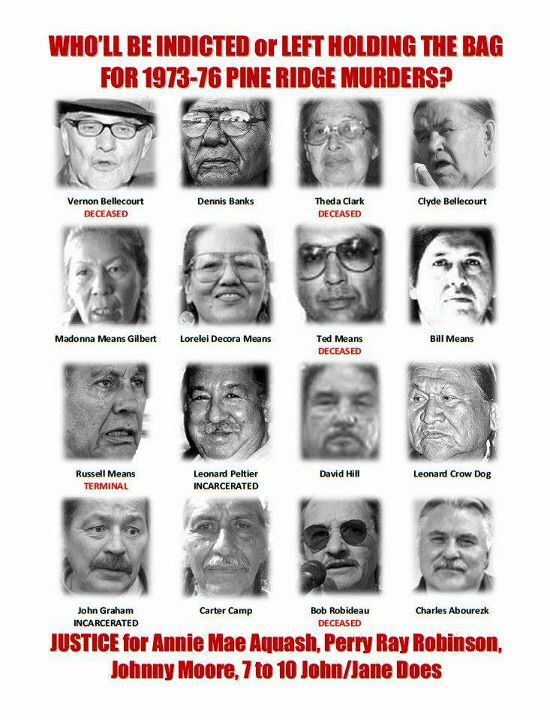 Dennis Banks, the “warrior” who fled the scene of the Oregon RV stop as did another “warrior” by the name of Leonard Peltier, both of who obviously felt it wasn’t “a good to die” but one to abandon women, one pregnant who gave birth during her detention. Dennis Banks who undoubtedly stayed in contact with his “security” lap dog Leonard Peltier keeping him apprised of all events as Peltier by his own words wandered back and forth across the U.S./Canadian border. In Banks having done so Peltier would have known about the “tribunal” that issued the fatwah for Annie. I personally believe that if Peltier didn’t have a vote in the “tribunal”, which I suspect he did, he nonetheless knew, encouraged, and appreciated the decision that was made. It’s also more than a little suspicious that the DOJ operating under the tenure of USAG Eric Holder has announced that yes, AIM did kill Annie and Ray, but they aren’t interested in pursuing such old cases. This is about as close as the public will ever come to the particulars unless a whistleblower emerges. The official position is the feds don’t give up an informant while they’re alive – Means no longer is and although it wasn’t the feds who gave him up he nonetheless was outed by law enforcement – Banks, Hill, and Clyde remain among the living so we shouldn’t expect much in the way of official announcements, nor do I think we can in their passing as it could open an entirely different can of worms that might very well involve not only governmental agencies but also politicians in key positions related to the nations. What has been established is that Means was an informant at least when it came to the case Jackley was building, what I’d like to know is what else did Means snitch about, for how long, and to whom? I also would like to challenge anyone to describe Means snitch status to be something other than AIM’s definition of a snitch or as being in the spirit of Crazy Horse. Murder is allegedly a crime without a statute of limitations, yet new statutes seem to have been written when it comes to the cigar store internet construct ndns of the AIM leadership and by extension select minions. Gun violence and Lives Matter? Really? Could have fooled me. I’d like to think that somewhere in the government there is at least one lone individual who would prioritize truth and justice by stepping up and revealing the truth, all of it, but that’s probably as much a fantasy as believing AIM is a “spiritual organization” composed of liberators and patriots who operate in the spirit of Crazy Horse. A feature of the leaderships survival mode is to stay lawyered up applying generous amounts of super glue to themselves and attorneys like Bruce “I’m taking the Fifth” Ellison and Charles Abourzek who inserted himself into Arlo Looking Cloud’s pre trial preparations in an effort to discover what testimony Arlo would give and how wide the loop might be employing a process of something referred to as “psycho drama”. Strange isn’t it that inspite of Arlo’s statements that Abourezk was present at Bill Means house when the call came to murder Annie Arlo’s attorney would have allowed Abourezk any form of contact with Arlo? Abourezk has portrayed his contact with Arlo as being ex parte, a sort of friend of the court whose sole purpose was to facilitate Arlo’s defense, apparently with the belief that no one would notice the law firm owned by both and he his father not only represented various AIM members but had a long history of doing so – a clear conflict of interest. The very law firm where Russell Means spent his day release under the guise of water rights expert during his one year sentence for his Custer conviction. Really? Russell was better versed in the legal ins and out of such rights, had a greater access to case law, his knowledge and understanding were so encyclopedic his assistance was essential? And what about those water rights and the combined effort of the Abourezk and Means collaboration? Anyone want to tell me what benefit to the nations was secured? I’ll conclude this post with an additional question – why was it necessary to abduct Annie from California and return her to Pine Ridge if it was simply about an interrogation? That would be PR where Means said nothing AIM related could take place without his knowledge and consent. PR, where the participation of various Means family members and AIM friendly attorney Bruce Ellison in Annie’s interrogation took place at the WKLDC office. PR, where the call came to murder her was taken at Russell’s brother Bill’s house and where she was buried in a hurried faux traditional ceremony by a bunch of pretenders who neither knew anything about tradition, cared about, or respected them. In consideration of location, those involved, motive, and Mean’s proclaimed warlord status anyone doubting Means was unaware until 1999 as he claimed is either a fool, owned outright by AIM, or both. I’d be interested in knowing if Jackley and Means ever discussed the AIM murder of Perry Ray Robinson jr. at WK2, or the multiple unmarked graves, if so what did Means have to say about that? Who did Means point the finger at to divert attention away from himself and family members? 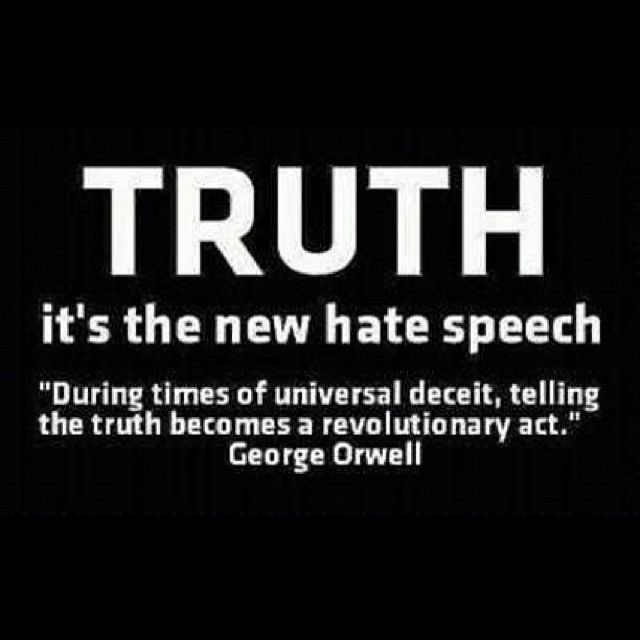 AIM has attempted for decades to portray any who speak the truth against them as “haters” – I submit the opposite is true, they hate the truth.